Proven Methods to Get Pregnant with Twins Quickly and Naturally! Twin babies are always beautiful and most people crave for one. While it comes very easily for few people due to hereditary traits, for others it’s only a wish. You may want to get pregnant with twins for various reasons, however, note that there are no guarantees. There are both natural and medical methods that can increase the chance of having twins. It is worthy to note that under normal circumstances naturally conceived twins occur in about 1 out of every 89 births. 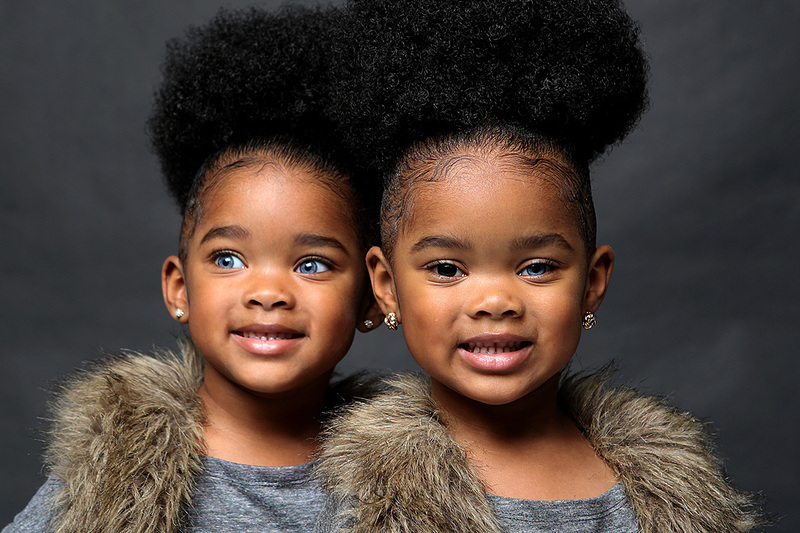 So, your odds of conceiving twins are slim, but there things you can do naturally to increase your chances of having twins. Before trying to pregnant with twins, keep in mind that there are higher risks involved in twin pregnancy. These risks include health risks from premature cord clamping and babies being born too soon due to early induction. It’s a good idea to have a doula or suitable support person and a doctor you trust if you are pregnant with twins. Most twins are fraternal. Fraternal twins are twins that develop from two separate eggs. Naturally conceived identical twins are rare and happen as a result of one fertilized egg splitting sometime in early pregnancy. Fraternal twins are conceived when two eggs are released during ovulation whereas identical twins is rare. Can I increase my chances of having twins? Yes you can! There are some things you can do to increase your chances of having twins, but some of them are out of your control. If you as a lady have a family history of twins (either from your mother’s side or father’s side), your chances of having twins will increase. But if you as a man have twins in his family, it doesn’t really help. The reason being is that there may be some genetic component that may cause you to produce more than one egg during ovulation. This “twin gene” may be passed down from your parents to you. Identical twins are not hereditary. – The average woman has a 3% chance of conceiving twins. – Statistically, African women have a higher chance of conceiving twins, while Asian women have a lower chance. – Having four or more babies drastically increases the chances of twins in future pregnancies. – Identical twins can happen to anyone; fraternal twins usually run in the maternal side as hyperovulation often runs in families. Few studies have shown that women who took folic acid when they are trying to conceive have 40% or greater chance of conceiving twins. Some other studies have shown contradictory results making it hard to conclude that folic acid actually increases your odds of conceiving twins. However, folic acid also helps to prevent neural tube defects so it is a good idea to take a folic acid supplement (or a multi vitamin with folic acid) even if you aren’t trying to conceive twins. WARNING: Do not take any type of herbal or pharmaceutical supplement without consulting with your doctor and/or doing your own research. Anecdotal evidence is not enough. Some of these products increase high/low blood pressure, interact badly with other drugs you may be taking or may contain additives that are not fully tested (especially if you buy from a non-reputable brand). According to a recent study by Dr. Gary Steinman, a physician at Long Island Jewish Medical Center who is well known for research on multiple birth pregnancies, women who consume a lot of dairy are more likely to conceive twins. This is believed to be due to Insulin-like Growth Factor (IGF) in cows and possibly some of the hormones they have administered to them. A study published in the March 2005 issue of Obstetrics & Gynecology found that women who were overweight had a higher chance of having twins. Women who were tall also had a higher chance of having twins. If you’re breastfeeding when you fall pregnant, the likelihood of twins is higher. According to a study by Dr. Gary Steinman, a physician at Long Island Jewish Medical Center women who were breastfeeding when they conceived were nine times more likely to conceive twins than women who are were not breastfeeding. The core of the pineapple contains the highest concentrations of bromelain, which anecdotally is supposed to increase the chances of implantation following ovulation. However it’s also associated with contractions and miscarriage with over use, so should be used with care and your own research. It can be taken in raw form or pill form. If a woman has been using the pill for six months or more her body adjusts to the birth control controlling her hormones so when she stops taking the pill, her body may take a cycle or two to get her hormones working the way they are supposed to. This can cause the ovaries to release many eggs during the first ovulatory cycle or two after discontinuing the pill. So if you want to have twins, the first cycle or two after stopping the pill is a great time to try! This African variant of sweet potato is believed to cause hyper-ovulation and increase the chance of having twins. We are not sure if this is true or not but one town in Africa, Igbo-Ora, is known for having a high rate of twins. This small town in Nigeria claims to have the highest rate of twins in the world, 4 times higher than the rest of the world’s population. Researchers started looking into the diet of this African town and concluded that the reason for the high rate of twins might be due to their diet. People in the town of Igbo-Ora consume a large amount of cassava root, a wild yam. Researchers believe that the wild yams may play a role in the high rate of twins conceived in this town. The more babies you have, the more chance you’ll fall pregnant with multiples. Women who are older are more likely to have twins. Women over 45 have a 17% chance of conceiving twins, but they also have a lower fertility rate so it probably won’t make sense to wait until you are older just to conceive twins. Still, if you are older and are able to conceive, you are more likely to have twins than someone younger. The reason being is most likely related to the fact that older women start producing higher levels of FSH, follicle stimulating hormone. FSH is a hormone that tells your ovaries to start maturing an egg for ovulation. As you get older, you have less eggs and lower quality eggs, so to compensate your body starts producing more FSH. This increase in FSH production may cause an older woman to be over stimulated and result in the release of more than one egg during ovulation; thus, increasing the chances of conceiving twins.